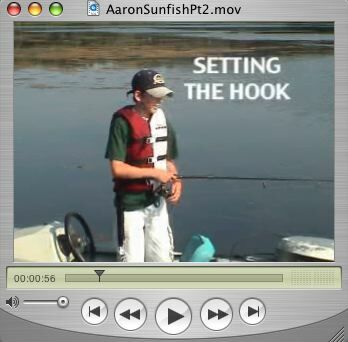 DigElogROCORI: Aaron's Fishing Adventures: "SUNFISH PART 2"
Aaron's Fishing Adventures: "SUNFISH PART 2"
Aaron lives on the chain of lakes created by the Sauk River as it passes through Richmond and Cold Spring, MN. He is a young man who spends much of his summer exploring the sport of fishing. Today he's fishing for sunfish with a very special bait that he finds most effective. His tip of the day is "How To Set The Hook". He also see's a Blue Heron (beautiful video) and catches fish like crazy! This story is sponsored by the Bagel & Brew in Cold Spring. They're celebrating Oktoberfest on Friday evening and Saturday from noon to 9 pm, this coming weekend, September 23rd and 24th. They'll be serving Gluek OKTOBERFEST beer under the "Big Top" tent in the parking lot along with all kinds of great German food. Come enjoy live music, dancing, singing and lots of fun!